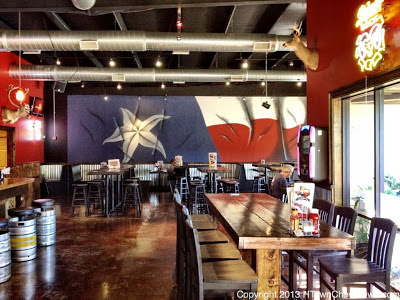 As the Woodlands grows, we’re excited to watch the food scene grow with it. This little ‘burb is attracting all sorts of interesting restaurants, from chef-driven bistros to new concepts from national chains. But some things are still hard to find. Growing up in Meyerland, I took for granted the ability to find examples of great Asian cuisines nearby. 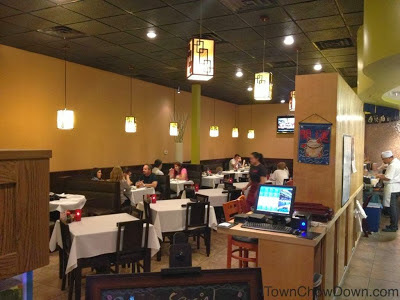 Moving to the Woodlands was a shock; there were plenty of Chinese and Japanese places, and a smattering of Thai and Vietnamese, but very few were out of the ordinary. A recent conversation with a chef friend of mine directed me to Atsumi, a new Asian restaurant on College Park. My friend spoke very highly of Henry, the chef at Atsumi. Apparently they’ve become friends and talked shop, and Henry turned him on to some sources for Asian ingredients that turned out to be very high quality, and they traded tips on techniques. Clearly, Henry was someone I had to meet. So with this recommendation we drove up to Atsumi for dinner. 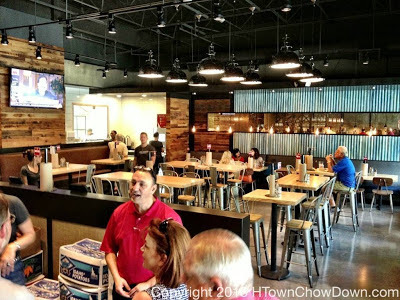 We found a modern, clean strip center restaurant with attractive decor and a good crowd for a weeknight. I spoke briefly with Henry (who was busy in the kitchen) and learned that he prepares his own sauces in-house, and doesn’t use the typical frozen ingredients you find at strip-center Chinese restaurants. I asked for some suggestions, and here’s what came out. 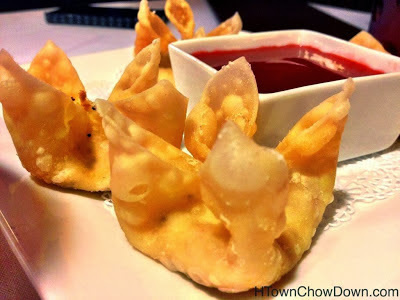 First, my bride loves “crab puffs”, the traditional appetizers you see at every Americanized Chinese restaurant. We tried Atsumi’s, and had the first surprise of the evening. Instead of the typical cream cheese filling with bits of “crab”, we found a light, creamy filling with a bit of heat; Henry had chopped in tiny bits of gently spicy pepper. And in place of the generic orange sauce was a lighter housemade sauce with a bit of citrus tang and a touch of heat. All in all, a very pleasant surprise. 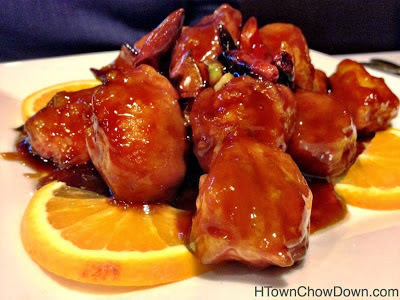 Next up was one of my bride’s favorites: Orange chicken. What arrived were large hand-cut chunks of chicken breast meat, hand-breaded with a lightly crispy crust, and served with a rich citrus glaze, accented with plenty of pepper. 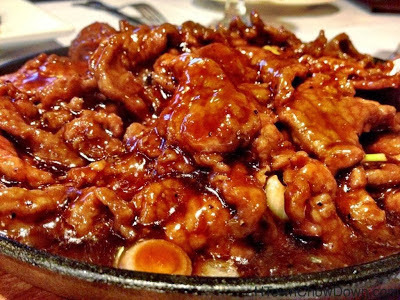 Henry suggested one of his specialities – Black Pepper Steak on Sizzling Platter. What arrived was superb. Thinly sliced high quality beef, generously spiced with pepper and scallions, served in a rich but not overpowering brown sauce, delivered on a comal to insure that it was sizzling hot. Delicious. We enjoyed Atsumi, and found Henry’s cooking to be far superior to most of the Chinese food we’ve sampled in the Woodlands. When thanking Henry on the way out, we mentioned that this was some of the best Americanized Chinese cuisine we’d tasted in a while. He smiled and told us to come back – he’s got the “real” Chinese menu, as do many of the restaurants way out Bellaire.